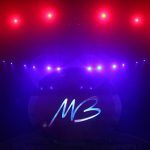 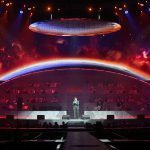 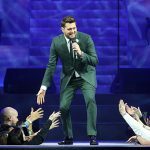 A six-year gap in between tours for a post-2000s artist may as well be a lifetime, but in the case of Michael Bublé, it didn’t come at the hands of a laborious creative pursuit or some self-indulgent exile. 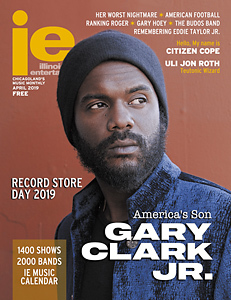 Instead, his infant son was dealt an extremely unexpected card of liver cancer, which caused the crooner to instantly reevaluate personal priorities and put his career on indefinite hiatus. 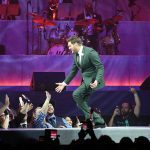 Thankfully, the youngster is in remission, which allowed Bublé to get back to business, selling out the sizeable Allstate Arena so fast that a second date had to be added, though not until Saturday, July 20 because he’s booked all over the globe until then. 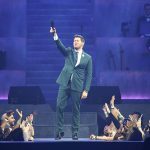 In the meantime, the 43-year-old appeared extremely appreciative on multiple occasions, not only for the support of a career that’s since sold over 75 million records, but also for all the well wishes throughout that not specifically addressed ordeal. 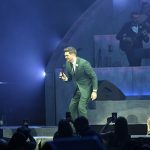 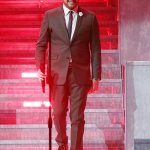 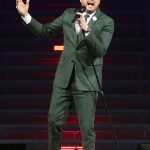 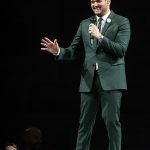 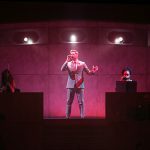 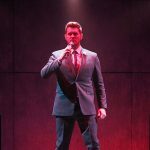 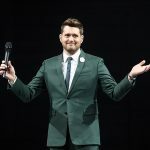 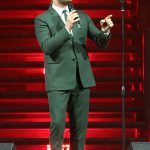 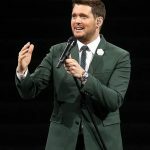 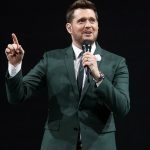 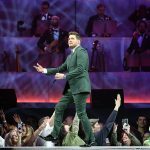 It was easy to root for Bublé throughout the near two-hour evening, who besides enduring so much on the family front, has always been an affable entertainer with a custom-made joke ready for any occasion. 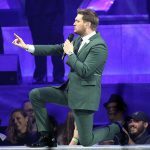 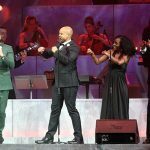 Plus, the dapper singer mounted an entirely new show debuting material from 2016’s “Nobody But Me” and the current “Love,” plus this particular St. Patrick’s Day performance was said to be the very first with his wife and kids all watching their man in action. 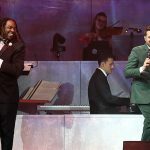 Many moments were plucked straight out the “Great American Songbook” and every interpretation would’ve made The Rat Pack proud, but there wasn’t anything Bublé couldn’t crush. 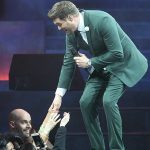 The troops tribute “Home” was equally endearing, a swinging, nightclub-styled set brought intimacy to the center of the venue, Chuck Berry’s “You Never Can Tell” stretched his expected limits even further, while what’s become a signature reading of “Cry Me A River” would’ve legitimately prompted an encore had one not already been slated. 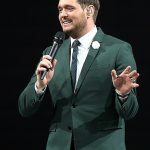 Yet there wasn’t a shred of sorrow during this entire comeback celebration of sorts, which found Bublé beaming from ear to ear as faithful greeted him with one standing ovation after the next. 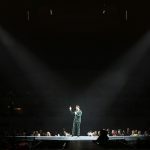 Clearly, stars of a certain level can quickly regain their place, and based on how much everyone appeared to be enjoying themselves, chances are they’ll never have to wait this long again.